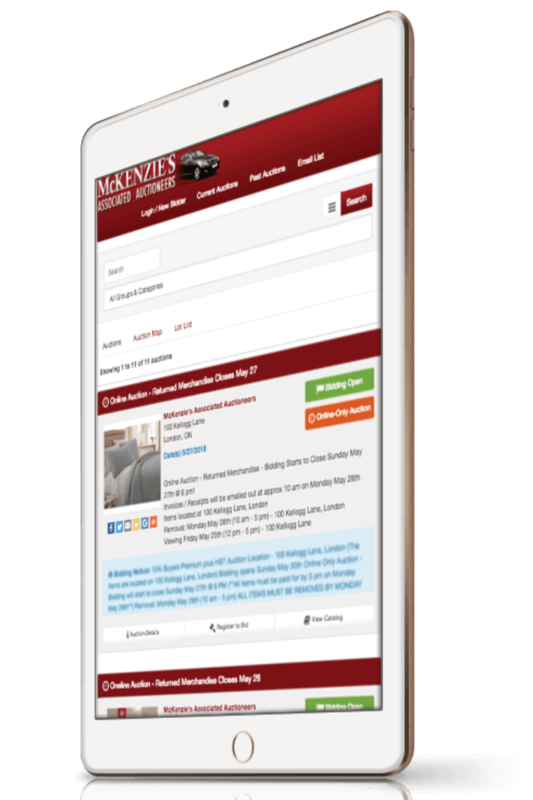 Mckenzie's Associated Auctioneers - Live & Online Auctions! - Auto, Real Estate, Municipal, & Estate auctions! Our auctions are open to the public every week. There is no charge for registration. (3) Online Returned Merchandise Auctions a week! – 1500 Lots Every Auction! We specialize in accelerated marketing programs for the selling of vehicles at Public Auction. Management and Liquidation of Bankruptcy, Bailiff, Municipal, Real Estate and Personal Property Auctions. We’ve been in the auction business since 1978, and in this time have grown to be one of Ontario’s largest auction companies.